Home / Celebrities & Gossip / Entertainment / Kenya / Uhuru afraid of Museveni? 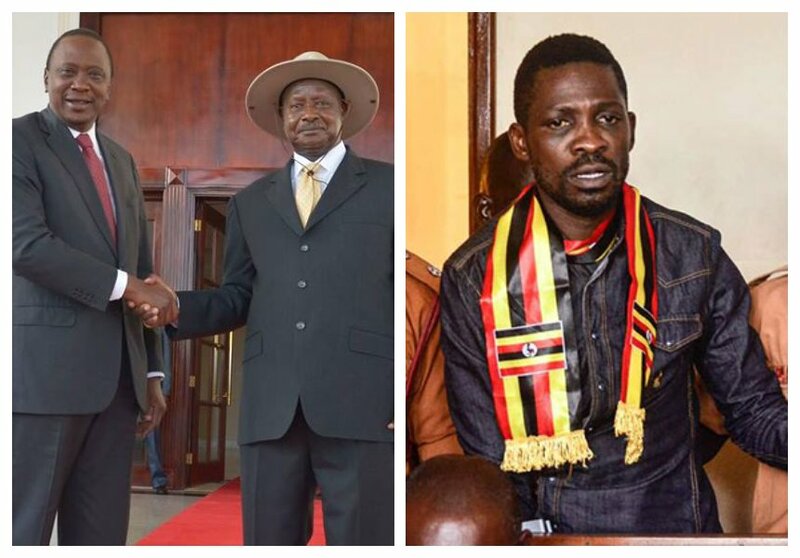 Kenya’s president speaks on the fate of Bobi Wine in Washington, D.C.
Uhuru afraid of Museveni? Kenya’s president speaks on the fate of Bobi Wine in Washington, D.C.
President Uhuru Kenyatta had an exclusive interview with BBC’s Zeinab Badawi during his trip to Washington, D.C. where he held talks with US president Donald Trump at the White House. Badawi pressed Uhuru to address the issue of Kyaddondo East MP Robert Kyagulanyi alias Bobi Wine who was arrested, tortured and slapped with treason charges. “As well as being president of Kenya you are also leader of a very important country in East Africa and I put it to you that one issue that is in the news very much is the fate of Ugandan opposition MP Bobi Wine. I would like to know whether you have raised his plight with president Museveni, he is now released on bail on charges of treason,” Zeinab Badawi asked Uhuru. Uhuru made it clear that he hadn’t raised Bobi Wine’s plight with president Museveni. The Kenyan president stated that his country doesn’t interfere with the internal affairs of other countries. “Kenya is not a country that seeks to really to interfere with other people’s or other country’s issues. We are a country that encourage democratic processes but we also understand every country has its own challenges. What we would say is that Kenya would like to see is where political competition is allowed without intimidation and we preach that message but we say that where there are differences please let us ensure those differences don’t result in violence, exactly what I said to Raila Odinga. In short ours is to encourage democracy and a peaceful solution to whatever differences may exist. But Kenya DOES NOT interfere just like we are also keen with other people interfering with our own domestic issues, and what we encourage is internal resolution to internal problem,” said Uhuru.